Abraham Lincoln endured much suffering in his lifetime, but he was a true sower of faith and freedom. The life of Abraham Lincoln is well recorded for history - through his own journals and the detailed research of countless historians. But sadly, the spiritual side of Abraham Lincoln has seldom been reported, partly because he held no formal church membership. This book explores the spiritual side of Abraham Lincoln, relying on his own words and the observations of his family, his friends, and historians. Abraham Lincoln endured much suffering in his lifetime, but he was a true sower of faith and freedom. 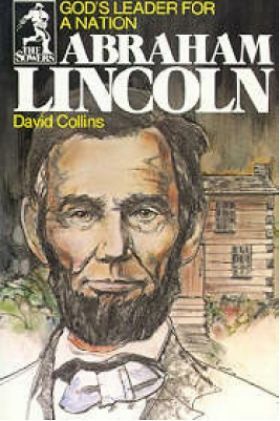 The life of Abraham Lincoln is well recorded for history - through his own journals and the detailed research of countless historians. But sadly, the spiritual side of Abraham Lincoln has seldom been reported, partly because he held no formal church membership. This book explores the spiritual side of Abraham Lincoln, relying on his own words and the observations of his family, his friends, and historians. To add a more personal dimension, his story is told as a first person account.